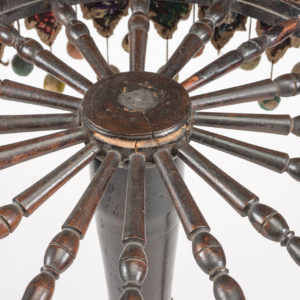 By the end of the Civil War, the United States had been transformed into a country very different from what it had been following the American Revolution. 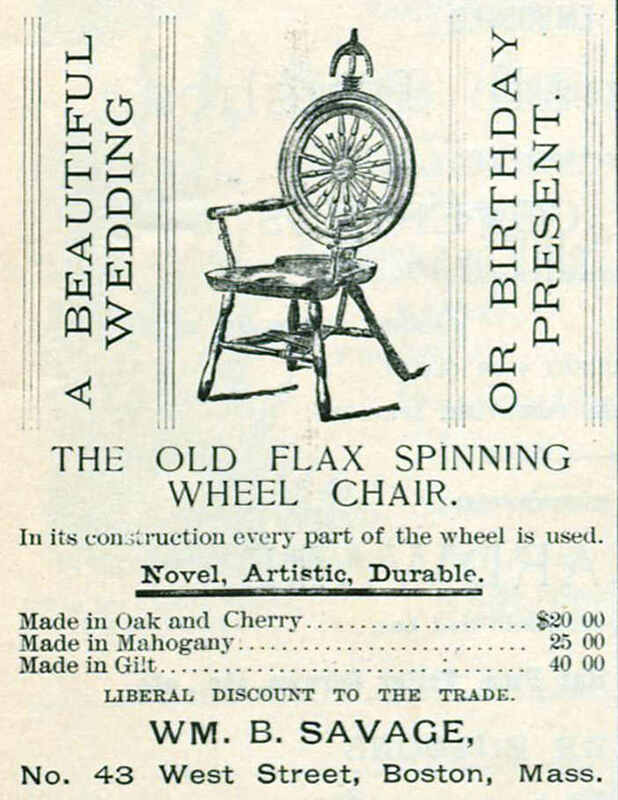 In those eighty years, the population had exploded to more than 30 million, cities had grown, and the chaos of industrialization had come to define daily life. 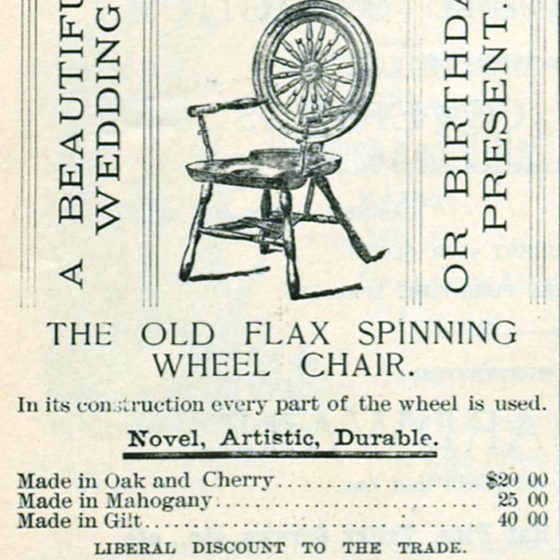 In the wake of these dizzying changes, many sought comfort in the “simplicity” of the past. 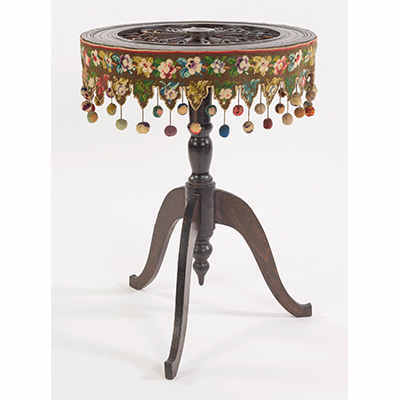 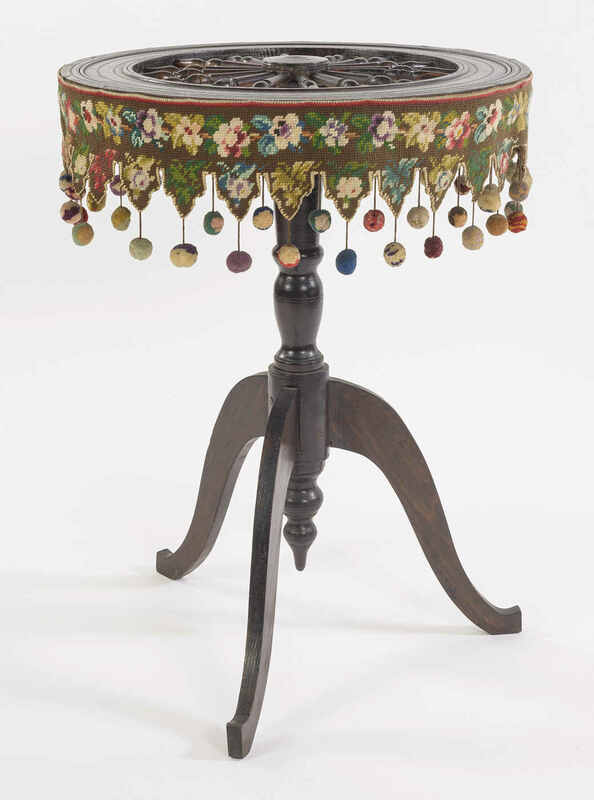 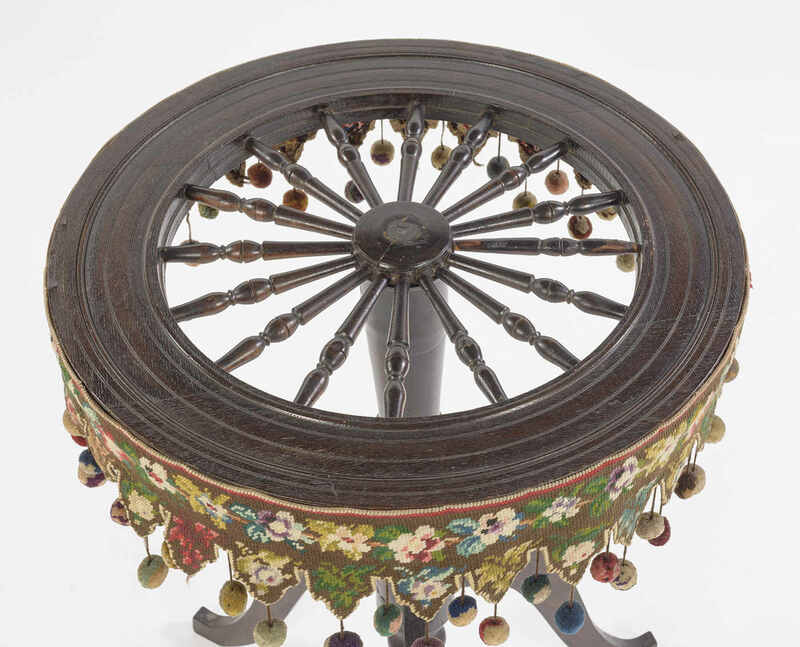 This quirky table is made from parts of an old spinning wheel, a craze unique to the colonial-revival movement after the Civil War. 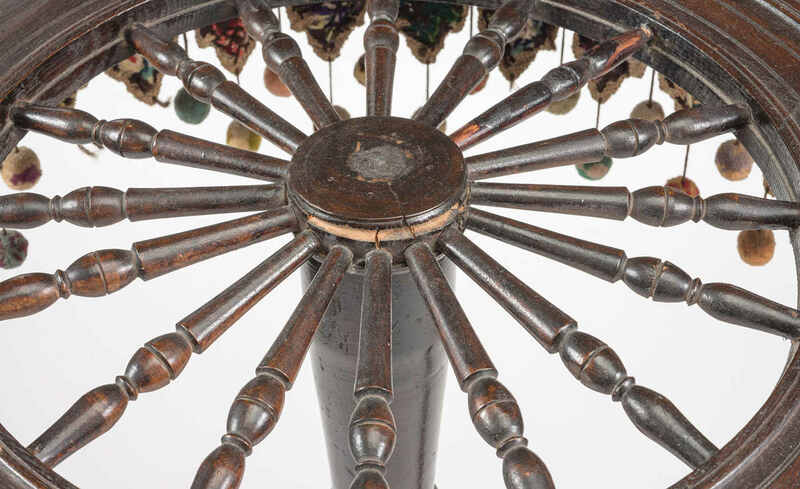 Spinning wheels that had fallen out of use with the rise of machine-made yarn were given new life. 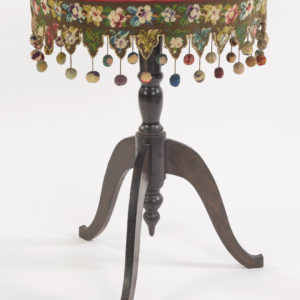 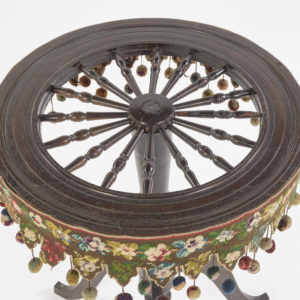 Reinvented as decorative items for the home, spinning wheel furniture fed the nostalgia for “colonial times.” Although many chairs made from spinning wheels survive, this is the only known example of a spinning wheel table. 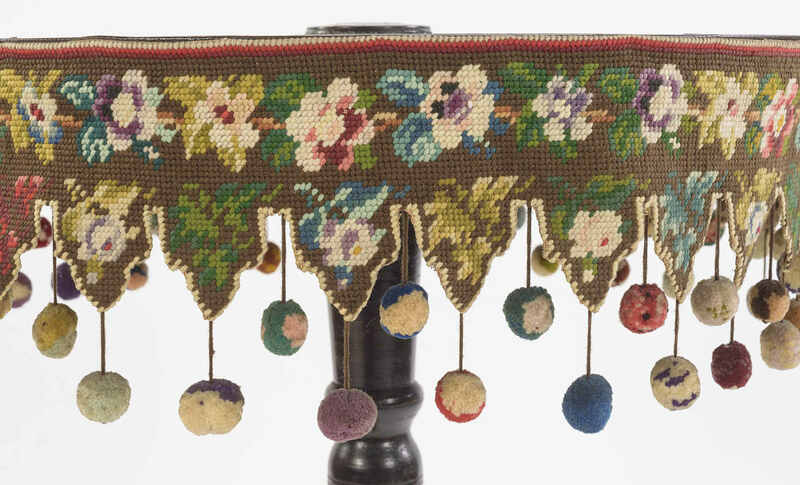 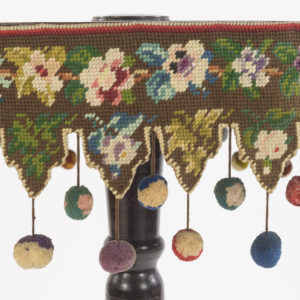 The Berlin work skirt, with its colorful pompons (or pom-poms, Americanized from the French), is handmade and original to the table.